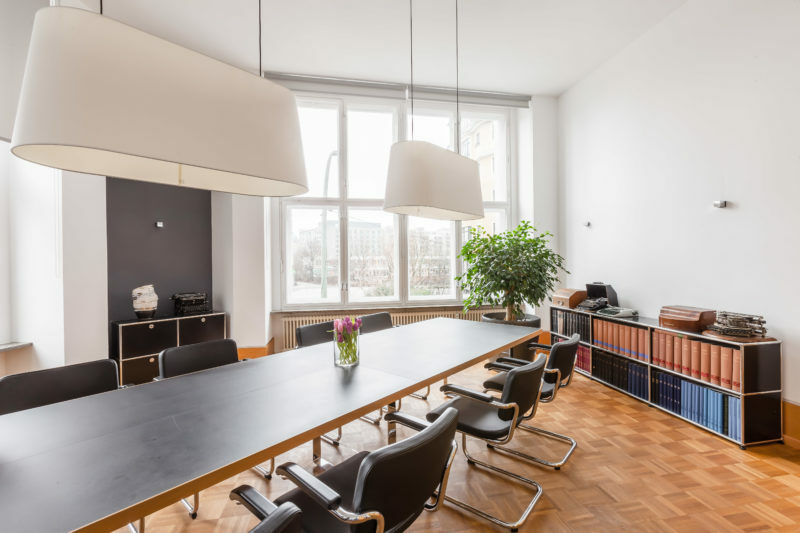 The reduced aesthetics and clarity of this law firm in Berlin’s Mitte neighborhood has its roots in the German Bauhaus of the early 20th century. 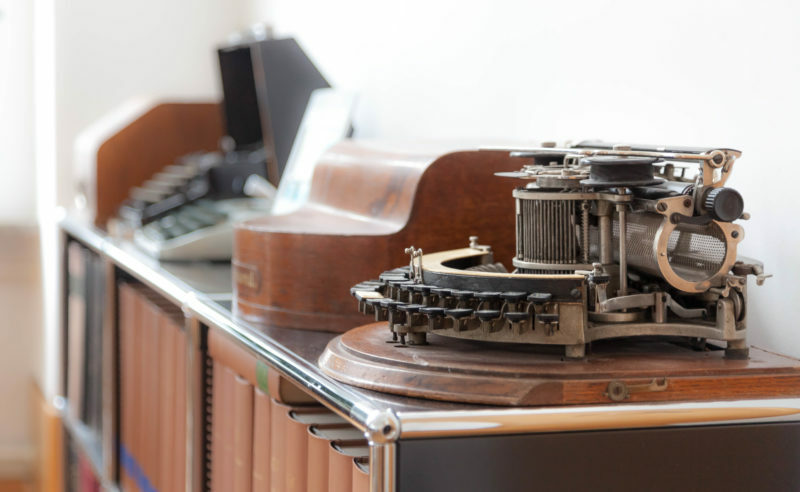 The timelessly beautiful Marcel Breuer S 64 tubular steel cantilever chairs by Thonet, which he designed in Berlin at the end of the 1920s, combined with the USM Haller sideboards, contrast beautifully with the antique typewriter collection. 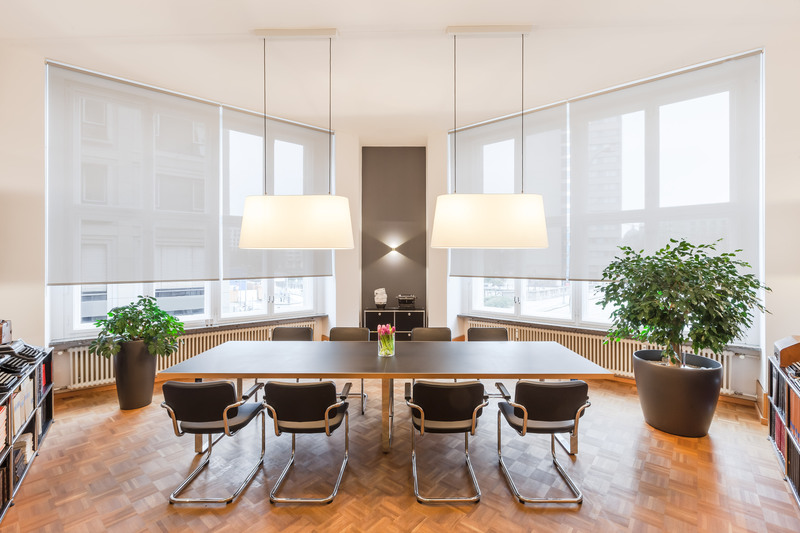 The oversize suspension lights accentuate the four meter high ceilings of this pre war building and the gray tones of the walls add to the calm and professional atmosphere. 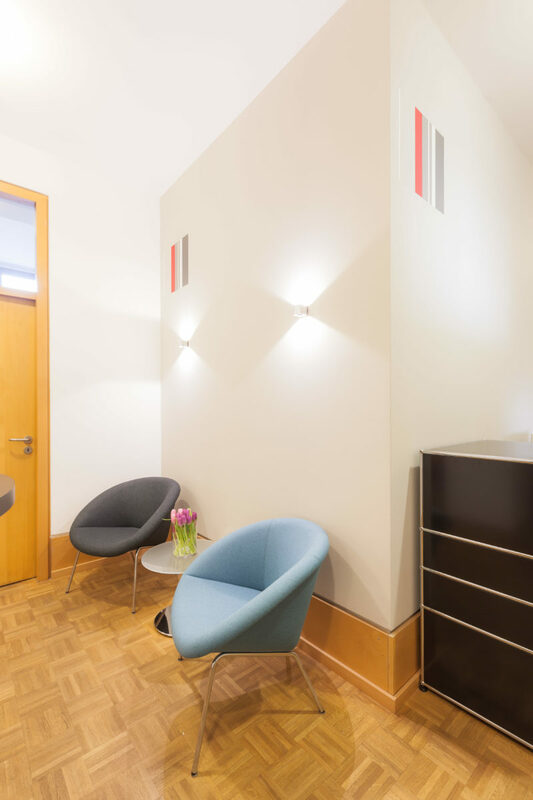 In the waiting area, the Walter Knoll 369 armchairs from 1956 add a retro detail.